This is the lesson that started TED-Ed. Written and narrated by TED Curator Chris Anderson, the full-length version is our most watched lesson on YouTube. I love this lesson because there’s nothing quite so effective at sparking one’s curiosity as a question you might not ever know the answer to. This is a great example of a lesson that answers one of those questions I had always been curious about, but never took the time to look up. And the answers are fascinating! Like, did you know dogs sometimes yawn in response to a human’s yawn — but it’s more likely that they will if it’s their owner? A great melding of content and animation. Jonathan Bergmann, who wrote this lesson, uses some incredible metaphors to get learners thinking about the insanely small size of the building blocks that make up our world. Animated, these metaphors really shine, providing a very visceral sense of how small an atom really is. Awesome language arts lesson by linguist and TED speaker John McWhorter. A great language for anyone who is interested in the complexities of language, fiction … and Game of Thrones. This lesson acts as a warning for those of us with a sweet tooth, investigating the way our brain responds to sugar … which is similar to the way it might respond to heavy drugs. If you’re a fan of Tolkien, Rowling or any of the world’s great storytellers, you’ll enjoy this lesson, which provides practical tips for writers interested in creating their own elaborate fictional worlds. A great lesson for anyone who has (or might want to get) a tattoo. One of our newer lessons, this combination of playful animation and skin-tingling science made it an instant hit. This is one of those videos that will make you want to run outside with a telescope and marvel at the vast, inexplicable universe we call home. 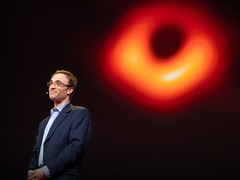 One of our many lessons written by CERN scientists, this piece investigates the deepest, darkest elements of our cosmos. Considering the well-known statistic that most people fear public speaking more than death, this lesson has vast appeal for the many of us who are spooked by the thought of even standing on a stage. The animation for this lesson, done by KAPWA Studioworks, really captures the brood-y mood of racing hearts and sweating palms. I haven’t played an instrument since middle school, but this lesson made me want to pull out my flute and dust it off. A great cross-disciplinary lesson that investigates the science behind creating art. This lesson, which discusses the novel Flatlands, is a mind-melting look into other dimensions with a narrative hook. A great lesson to watch when you’re looking to be (1) a little confused and (2) a lot delighted. Emilie Soffe is a writer for TED Ed.